The tour will discuss not just the ghosts, but the true history of the Lewisville area beginning in the 1800′s to the present day. By doing this it is easier for us to understand the ghost sightings that we have had in the past and are currently still experiencing. 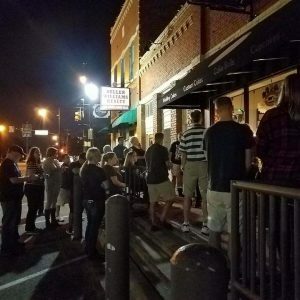 Patrons of the Gateway Ghost Tour will get to experience real paranormal activities. Ghost meters are available on the walking tour. Also our ghost enthusiast’s will be able to enjoy hands on experience the old fashion way with the use of pendulums and divining rods. As paranormal investigators and psychic mediums we teach you how to feel the different energies that are present with ghost activity. Each tour is comprised of a basic psychic development class. We believe in enriching your every day experiences with the understanding and knowledge of the world that is unseen by most. Revisit the past and walk the same streets of those who came before you. Lewisville has a rich history of the untamed West opened to those eager to settle a new land. We retell the stories of those who left their mark on Old Town Lewisville and who never wish to be forgotten. With the presence of so many spirits that choose to show themselves along the tour our hopes are that you will gain new insights and understanding of what it is to be ghost. We are here to answer your questions and guide you into the world of the unseen. 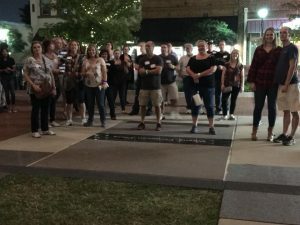 I will tell you that our encounters with the spirit world in Old Town Lewisville increase with each tour we facilitate. Every tour is different. This is an event that you will want to experience over and over. You never know what ghost you will get to encounter next! Advance Tickets: Adult $20 Day of Event: Adults $25 *Specialty Events & Halloween Tours prices depend on event. You can also check in with your RSVP on our Facebook page to let us know you are coming. We like to make sure that every one is given the special attention that they deserve and you can share your ghostly experiences with friends and family! In case for severe weather, tours may be cancelled and we will be put with the next available tour. 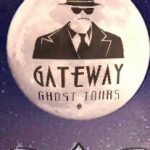 For up to the minute news on upcoming tours and events, check our Gateway Ghost Tours Facebook Page and “Like Us”!